New Off-the-Shelf, Surface Mount Antenna Has an Ultra-Small Keep-Out Area to Deliver High Performance and Reliability Across a Wide Range of Global LTE Bands. 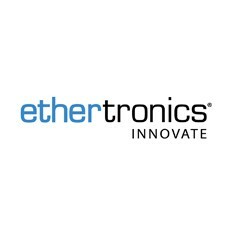 Ethertronics, a leading technology company enabling innovative antenna and RF system solutions to deliver the best connected experience, today announced that the company is further expanding its Prestta™ line of antennas with the new Prestta™ P822601 LTE/Cellular Octa-Band Embedded (Surface Mount) Antenna. The new off-the-shelf, octa-band antenna, which boasts an ultra-small keep-out area, is ideal for a wide range of M2M and IoT applications, including automotive, automatic meter reading, healthcare, point of sale, tracking and many more. By leveraging Ethertronics’ patented Isolated Magnetic Dipole (IMD) technology, which enables high performance and isolation characteristics, the new P822601 antenna is capable of providing a robust radio link and minimal interference across all major bands – 700, 750, 850, 900, 1800, 1900, 2100 and 2700 MHz – requiring fewer SKUs for global LTE coverage. Optimized for MIMO configuration, this new antenna meets an important LTE requirement. As the next generation of Ethertronics’ renowned P522304 (penta-band) antenna design, this new octa-band antenna additionally supports fallback for 2G and 3G networks, providing ubiquitous coverage for Internet of Things (IoT) applications. IMD antenna technology additionally provides superior RF field containment, resulting in less interaction with surrounding components, lower program development risk and yielding a quicker time-to-market. Utilizing a cost-competitive PCB antenna design, this new antenna is easy to surface mount on a device’s board. The easy-to-integrate antenna’s small profile and low-height consumes less board space than other antennas. The benefits of Ethertronics’ new octa-band antenna extend beyond the design process and to end-users, helping to provide improved performance such as longer range, improved battery life, and higher data rates. Ethertronics’ Prestta octa-band standard antenna is available for sampling. Ethertronics will be showcasing its new Prestta octa-band antenna and other innovative solutions in its booth during CTIA Super Mobility 2015 (Booth #5538), September 9-11, 2015 in Las Vegas. With over 1.3 billion antennas shipped, Ethertronics’ experienced team of designers and RF engineers can support integration and testing for the Prestta antennas including our LTE capable, active OTA test chamber. In addition, datasheets and application notes are available to ease the antenna integration and tuning process. For more information, visit http://www.ethertronics.com/products/cellular/.